Unless you have the strength of an Olympic hand wrestler, a lot of batters, doughs, and mixes can prove to be quite a challenge to combine by hand. Fortunately, if you have a good stand mixer in your kitchen, this becomes a simple job. However, the key word here is ‘good’. If you want a stand mixer that can actually make your life easier you need one that is versatile, powerful, and makes cleanup a breeze. Now, you may have already realized just how difficult this can be. While there are a lot of different brands and models to choose from, they don’t all live up to the hype. So, we took it upon ourselves to manage this little task for you. We took a look at all the options out there and determined which ones were worth your money. One of the best things about this Litchi stand mixer is that it comes with a rather powerful motor that can produce up to 650 watts. This means that the stand can tackle almost anything you throw at it, including thick and dense doughs. So, you can be quite sure that you are able to tackle most recipes with this machine. 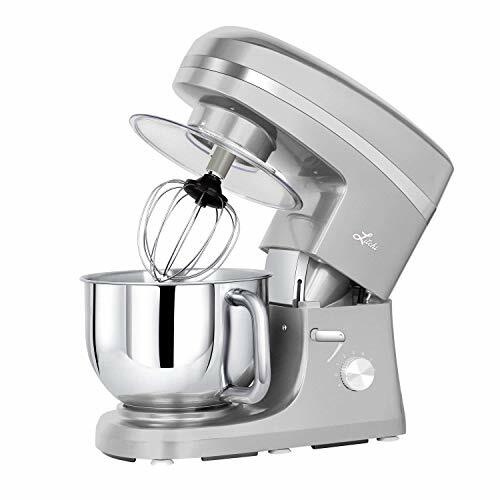 To make it even better, this mixer has 6 speeds to choose from, including a pulse function. Once again, this comes in handy if you are a rather adventurous cook and like to make a wide variety of foods. The mixing bowl can hold 5.5 quarts so it is perfect if you want to mix larger amounts at once. With this mixer, you get four different accessories. This includes the dough hook, whisk, Y-shaped mixing blender, and flex flat beater. Another excellent feature on this stand mixer is the tilt-head that lets you easily hook up your attachments to the machine. Also, if you are working with ingredients that make a bit of mess, there is a splatter guard that you can use to keep everything inside the bowl. The only real issue with this mixer is that it can be rather loud and grating while working. So, this does take some getting used to. If you tend to bake bigger batches of food in one go, then you are absolutely going to love this stand mixer. It has been designed to be able to create large quantities of dough and other combinations. For instance, you can even mix up a batch of 14 loaves of bread in one batch. Now, one of the reasons that you can do this is, of course, the large bowl which can hold up to 6.5 quarts. The real star of this mixer, though, is the motor which offers up to 800 watts of power. Added to this is the belt-driven transmission that produces enormous amounts of torque. Now the tricky part about all of this power is that that there are just four speeds to choose from, not including the mix function. This means that the mixing speeds can increase rather drastically from one setting to the next. So, if you are trying to combine slightly more delicate ingredients, you may be disappointed. As for accessories, you do get two whisks and a dough hook which is good for most recipes, but if you want to branch out, it can be a bit limiting. There is a splatter guard that you can place on top of the bowl when you are using the mixer so that you don’t have a huge mess to clean up afterward. If you don’t want to spend too much on your stand mixer, you will find that the Hamilton Beach offers you good value for money. Of course, you should note that this mixer produces just 300 watts of power. Now, for most mixtures such as batters and other thinner mixes, this works just fine. However, things can get a little tricky if you try to mix thick or sticky batters. In this case, you may overwork the machine. So, you will probably have to settle for making smaller amounts at a time. The good news, though, is that this mixer offers up to six different speeds. This means that you can easily use this machine for more delicate mixes without worrying about compromising on the texture. Just as handy is the brief image guide on the side of the mixer that shows you which hooks to use, depending on the dish, as well as what speeds to use them at. The tilt-head feature on this mixer also comes in quite handy. Adding attachments to the top of the machine becomes an absolute breeze with this function. The other perk is that you get three attachments to choose from – a dough hook, non-stick flat beater, and a whisk. These attachments are rather special because they work well around the bowl, making sure that there are no ingredients left behind on the side. Time and time again, KitchenAid has been voted the industry standard, and after taking a look at it, it isn’t too difficult to see why. This stand mixer performs incredibly well. Now, with just 325 watts, you won’t expect the mixer to be all that powerful, but it is. It is more than capable of dealing with all kinds of batters and doughs and is able to handle anything that you might want to make. Best of all, there are 10 mixing speeds to choose from so you are well-equipped regardless of what you want to make. Even your whipped cream comes out light and airy with this mixer. The other perk that you get to experience is the 59-point planetary mixing action feature which refers to the number of points of contact that the attachments have with the bowl. The tilt-head function ensures that you can remove and add attachments without a problem. This ensures that there are no leftover ingredients and that everything is mixed in properly. Speaking of attachments, you get three separate devices, which includes the dough hook, flat beater, and whip. You also get a specially-designed splatter guard. Not only does it keep the residue from flying around, it also has a feature that lets you add smaller ingredients such as eggs. Of course, it isn’t perfect, and many of the bowls will have a residue that requires a special cleaning process that you have to go through before it can be used. Cuisinart is also a rather well-known brand, particularly when it comes to mixers. To make the deal even sweeter, it actually comes at a rather reasonable rate. So, how well does the Cuisinart hold up? Well, first off, it is quite powerful, affording up to 500 watts. This means that your batters and doughs will be well-mixed irrespective of how thick or sticky they might be. 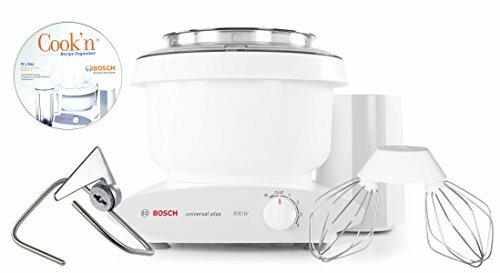 The mixing mechanism is aided by the 12 speeds that ensure you can mix any recipe to absolute perfection whether they require a delicate whipping or a tougher mixing method. Then, there are also the accessories to consider. You get a dough hook, flat mixing paddle, and a whisk. Now, these attachments work quite well but there is a minor issue. See, they don’t actually reach all the way to the bottom of the bowl, so if you are trying to mix smaller amounts, you will find that there are some unmixed particles remaining. However, this mixer is actually very user-friendly. The tilt-head means that you can easily add new attachments to the machine within seconds. The splash guard with spout design also offers you a chance to keep the food in the bowl while ensuring that you can add smaller ingredients as well. Now, let’s talk about all the details and features that you need to know about before you actually choose a stand mixer. 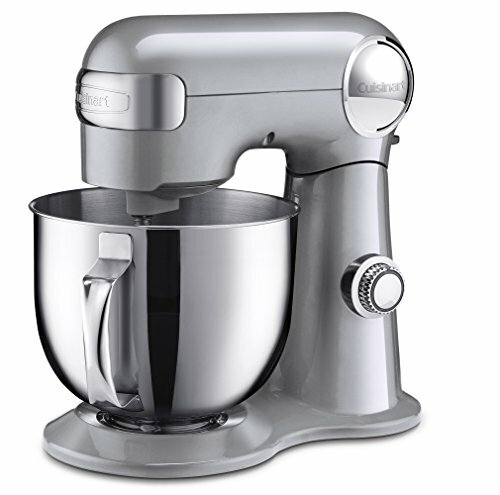 Basic Stand Mixers: these are generally used by novice bakers. They traditionally have smaller mixing bowls and don’t have a lot of power. They are usually good for mixing batters and doughs with an even texture. Basic mixers are often the most affordable in the range and tend to be rather simple to use. Mid-range Mixers: these mixers tend to be a bit more expensive than the basic model. They often boast a bit more power and have a greater number of attachments as well. These models are a good addition to any household where a moderate amount of baking and cooking is done. Professional Mixers: these mixers have a similar amount of power as the mid-range models. The main difference here is the number of attachments, quality, and perhaps features. These are hardwearing mixers that can often make large batches at the same time. Professional mixers are quite pricey. Now, as we have mentioned above in the reviews, wattage is rather important. Why? Well, it determines just how powerful a particular mixer can be. Most stand mixers boast a wattage equivalent to 500 watts or more. This is a good option if you tend to work with thick or sticky doughs that require more power to mix. However, if you just focus on cookie, pancake, and cake batters, then you may not actually need quite so much power. Still, it is best to stick with mixers that are at least 300 watts if you want to experience all the benefits that stand mixers have to offer. The next thing that you will need to consider is the capacity of the mixing bowl. Once again, this really depends on your needs. For instance, how many people do you traditionally cook or bake for? If it isn’t too many, then you should be able to get away with using a smaller mixing bowl. So, a bowl with a capacity of 4 to 5 quarts will work. On the other hand, if you have to cook or bake for several people at once, then it makes sense to have a bowl with a capacity of between 5 to 8 quarts. Interestingly enough, it’s not the number of attachments that actually matter. Rather, it is the variety that you should focus on. For example, it doesn’t really help you if a mixer has just two or three whips. After all, they do the same task. Instead, it is much better to have a mixer that has a whip, dough hook, flat paddle, and other attachments. Of course, this doesn’t mean that you should go overboard with the attachments. Just look for as many as you will need to use on a regular basis. If you are wondering just why speed settings – and the number of them – are so important, it is because different recipes call for various speeds. So, if you want to mix dough, you will require a lower speed. Conversely, if you want to whip up some cream, then you are going to need a much faster speed. This is why stand mixers that have a greater range of speeds are so useful. They allow you to make a wider range of foods. When it comes to stand mixer styles, you will have to choose between the tilt-head and bowl-lift designs. The benefits of a tilt-head design include making it easy to swap out the attachment heads within seconds. Also, these machines are often smaller, making them easier to store. The advantages of a bowl-lift design are that they work well for doughs and you will notice that it is simpler to add ingredients while you are mixing. However, these designs are a lot more expensive as well. If you are looking for a mixer to use at home and don’t plan on making industrial-sized batches of bread, a tilt-head should be ideal for you. Machine Size: it isn’t just the bowl capacity you should look at. After all, you have to store your stand mixer. So, if you have a smaller kitchen, get yourself a smaller mixer. If you have more space to work with, then a larger machine will be fine. Aesthetic Appeal: if you plan on using your mixer a lot or want to store it out on the counter, then you should pay attention to what the appliance looks like. These days, you will find a lot of manufacturers that offer a variety of styles and color. So, go with the one that suits your kitchen color scheme best of all. Noise: if you live with your family or if your home has thin walls, think about the noise it will make. If you don’t have a lot of privacy, it may work in your favor to go with a quieter machine. It will also be easier for you to use for longer periods of time. Cleanup: to make things easier for you, consider getting a mixer with parts that are dishwasher This will save you a lot of time and effort. So, to sum things up, when looking for a mixer, you should look at the power, attachments, capacity, settings, and features. 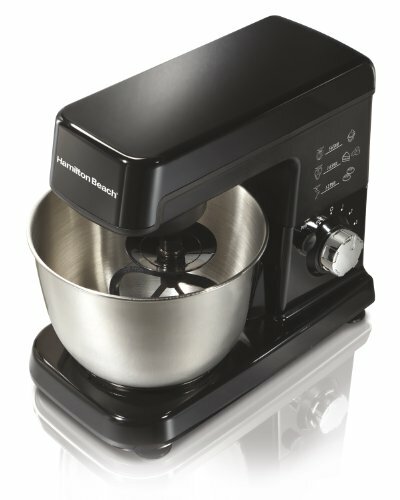 If you are on a budget, the Hamilton Beach stand mixer offers great value for money. 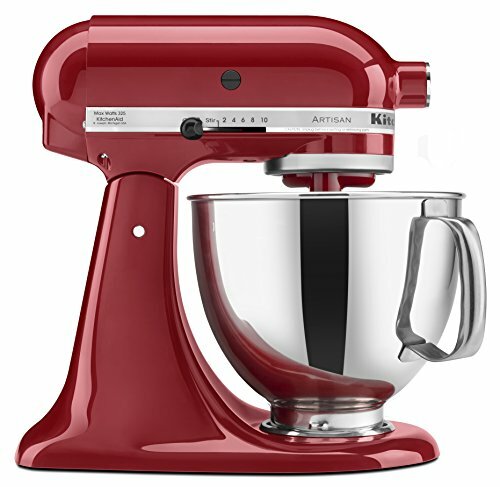 On the other hand, if you are a more serious baker, you will find that the KitchenAid and Cuisinart stand mixers are a more suitable option. If you are just getting started with baking, however, the Litchi stand mixer may be a better investment. For those who want to make larger amounts of batter or doughs, the Bosch mixer will be more accommodating. This concludes our guide on the best stand mixers, including how you can go about choosing your own.